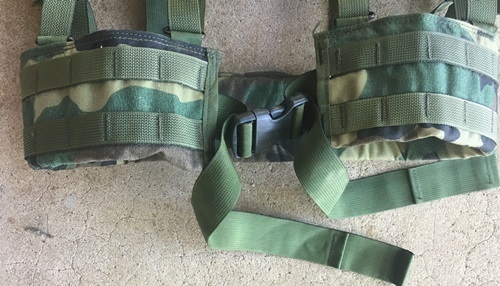 Padded part of the belt is made of three different padded sections each with the two rows of molle. That way the belt can be adjusted to fit from 29 to 60". The padded pieces together fit over the belt side by side measures 35"